Is Traditional Italian Food an Endangered Species? 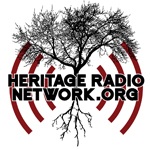 A couple of weeks ago, Linda Pelaccio, a producer and host at Heritage Radio Network, asked if I would talk to her about that very question. 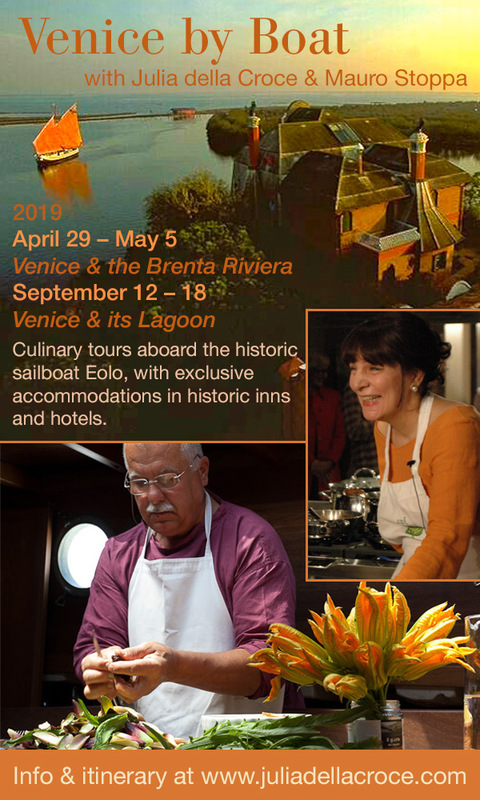 It’s the subject of my last book, Italian Home Cooking: 125 Recipes to Comfort Your Soul, and something that’s on my mind more than ever as I travel around Italy these days. Seems it’s going the way of America with its fast food habits and global food tastes, while we’re going the way of Italy, yearning to farm, recapture heritage seeds, and make artisan foods. So the other day, I made my way to the radio station launched by Patrick Martins, founder of Slow Food USA. I felt right at home in the cozy studio, built from two repurposed shipping containers. Besides, it’s on the premises of Roberta’s, a legendary Brooklyn restaurant known for making the best pizza outside of Italy (not to mention the sensational house-made “n’duja,” a fiery Calabrian smoked pork spread I crave). 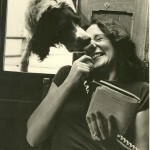 Have a listen to my conversation with Linda on her program, “A Taste of the Past,” here, and see what I mean. 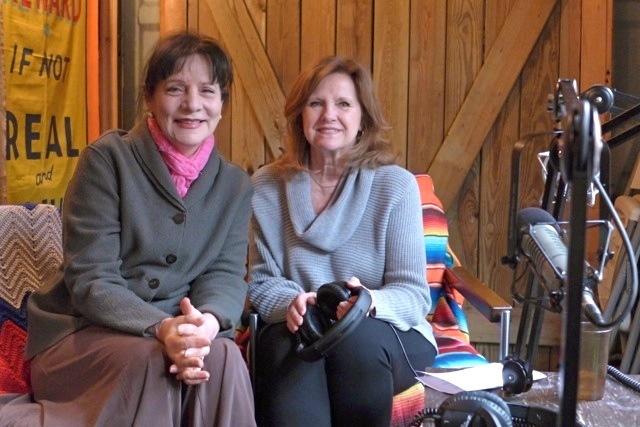 With host Linda Pelaccio, at Heritage Radio Network on site at Roberta’s in Bushwick, Brooklyn. 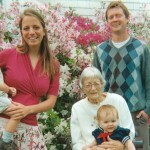 For 27 years, Julia made her gnocchi with sweet potatoes, mixing an American staple into the classic recipe. 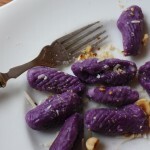 “Here I was, one foot in the new world and one foot in Italy, where my family is from, and they seemed perfect for gnocchi. Why not?” And in all that time, her dumplings were sweet, served with a hazelnut butter sauce, and — most importantly — a lovely shade of orange. This is one way I serve them–American style–alongside roasted duck. The orange sauce is classic Italian, but spiked with my own garden currants that I’d frozen for a winter day. A bright dish such as this with its memory of summer brings such cheer to the table. 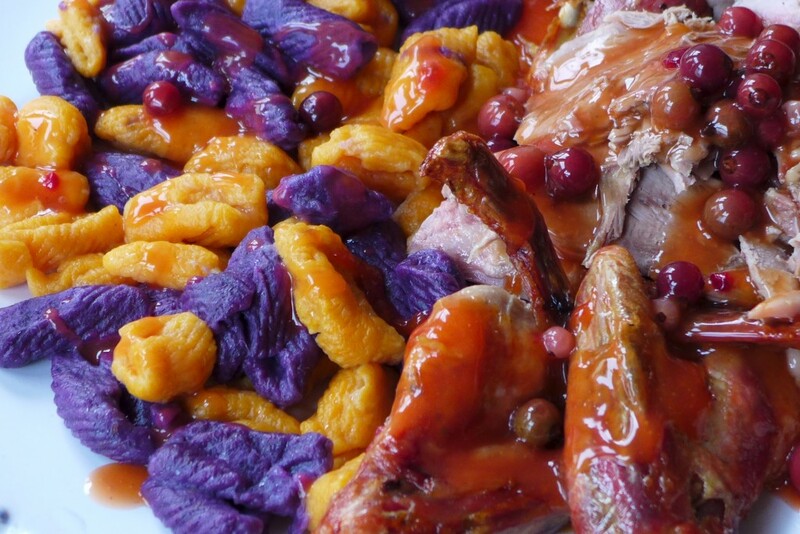 An antidote to winter blues: purple and golden sweet potato gnocchi, served alongside roasted duck. The condimento: sweet-and-tart orange and currant sauce made with berries from my garden. What variety of potato is best? 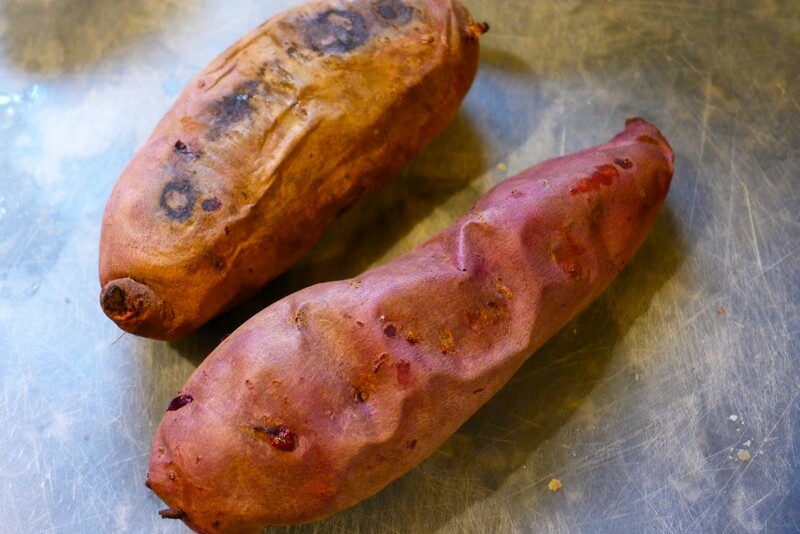 : I reiterate: use sweet potatoes that are dry, not oozing moisture. Buy them a week or two in advance and leave them out on a countertop to dry out somewhat. Cook them as I describe, at a very low temperature, for a long roast (never boil–this would draw water into the potatoes). Very dry varieties, like the purple “sweets” I discovered, are ideal because their water content is so low. The drier the potato, the lighter the gnocchi will be. Precisely how much flour should I use? : I give guidelines in the recipe, but this will depend entirely on the moisture content of the potatoes. Two different varieties of orange “sweets.” Roasting them, slow and easy, for maximum water evaporation. Covington variety, left; Red Garnet, right. 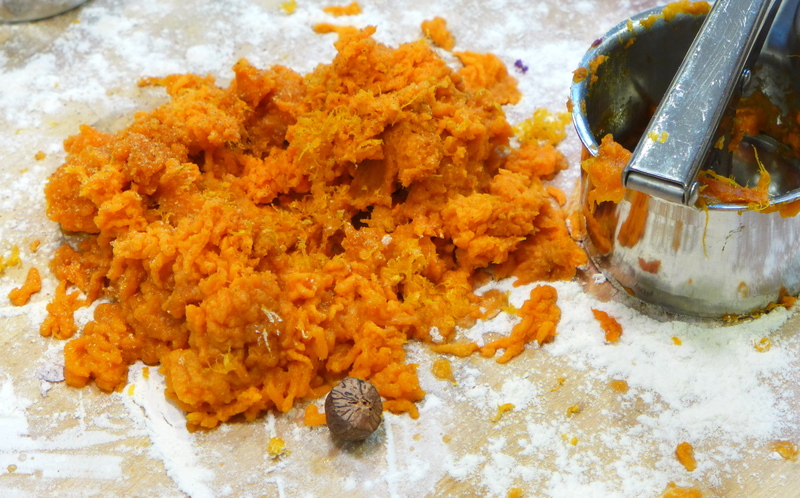 The easiest way to puree the potatoes: pass them through a ricer. 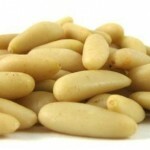 Form thin coils–the thinner the coil, the smaller and more delicate the gnocchi will be. 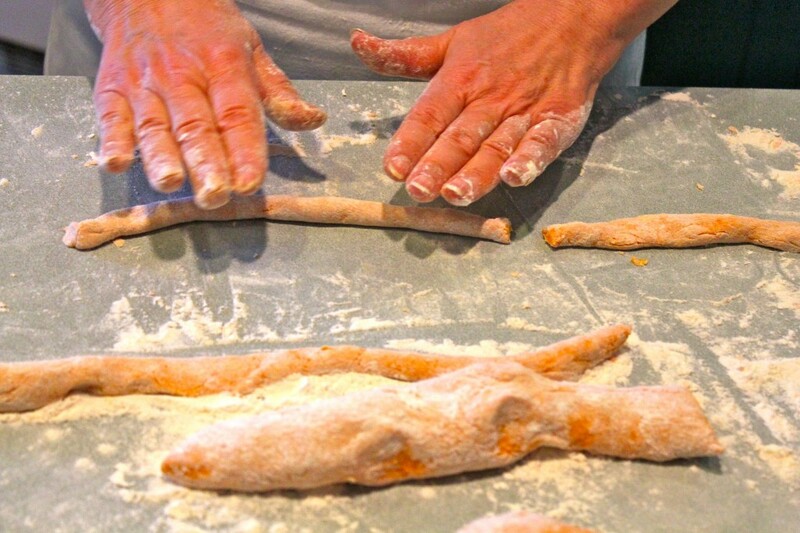 My daughter Gabriella and I are arranging the formed gnocchi onto lightly floured kitchen towels to prevent them from touching, and sticking to each other. My daughter, Celina, is taking the pictures. About the Stokes purple sweet potatoes, look for them in specialty markets in late August when the new crop will be harvested. 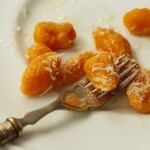 I might also add that I haven’t abandoned the classic potato gnocchi of the Italians. I adore them, too. For the back story about my “found” recipe, continue reading here. 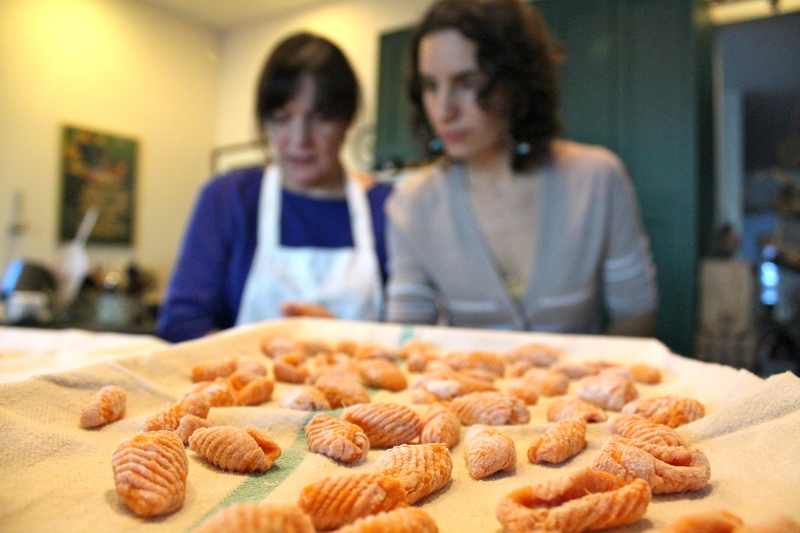 Julia’s Sweet Potato Gnocchi Broadcast Update: on NPR today at 4:20 p.m. Reader Mail: Why Does Everything Taste Better in Rome?